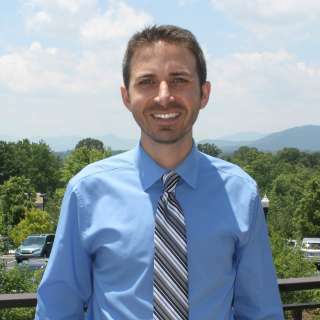 Summer is a great time to visit Asheville. Just ask Forbes Travel! This past week, Forbes Travel highlighted Asheville as a top place to travel this summer, giving many reasons as to why. 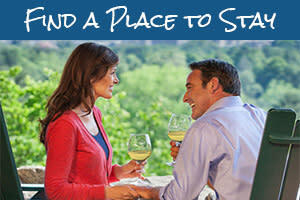 Forbes writes that "no matter what you&apos;re looking for, you&apos;ll undoubtedly find it in Asheville." This weekend is a great example! From a reggae festival to a lyric opera, from a Spice Girls dance party to a hike on the Blue Ridge Parkway, Asheville has you covered. Plan your trip to Asheville by utilizing our easy-to-use search to check room availability and rates at Asheville area accommodations. And, you can check events for any date by using our online events calendar search. Saturday and Sunday (July 7-8), 10 a.m to 5 p.m.
See and purchase the work of regional and national artists specializing in handmade works of art. Among those scheduled to be at the Downtown Asheville Festival of the Arts are painters, potters, jewelers, and glass blowers. The festival is held in downtown&apos;s Pack Square Park. Friday (July 6), 6 p.m.
Bring your lawn chair and relax with an afternoon of reggae music! The great lineup of musicians includes Chalwa, Saylyn, TurnUp Truk and Jake Burns (acoustic sets). The music will be in Highland Brewing Company’s “Meadow.” Grab a beer and enjoy the show! Friday (July 6), about 5 p.m.
Join in an Asheville tradition unlike any other! Every Friday night in Pritchard Park, people join together to play thundering sounds on the drums, dance to the powerful rhythms and enjoy the show of individuality and diverse community. 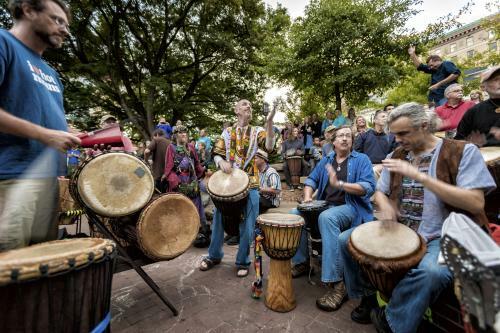 The Asheville Drum Circle is a free event begins between about 5-6 p.m. and people continue to join the circle and play through about 10 p.m.
Friday (July 6) at 8 p.m.; Sunday (July 8) at 3 p.m. Listen to the beautiful Hector Berlioz opera score in this novel adaptation of Shakespeare’s lively comedy Much Ado About Nothing. The opera score is paired with English text lifted directly from the Bard himself. The show is described as “overheard confessions, unfortunate reactions, tender reconciliations and plenty of witty banter glide on a warm breeze of masterful orchestration.” The opera is sung in French with projected translations and English dialogue. Saturday (July 7), 8 p.m.
Tell us what you want, what you really, really want! Grab your gal and guy pals, dress up in your “spiciest costumes” and bring it on down to The Grey Eagle for an evening dedicated to the Spice Girls! You’ll watch the Spice World movie on the big screen. Then, enjoy a Spice Girls Dance Party! There will be prizes for the best costume. And, the party will feature special brews from Highland Brewing Company. Tickets are just $5. Saturday (July 7), about 7 p.m. 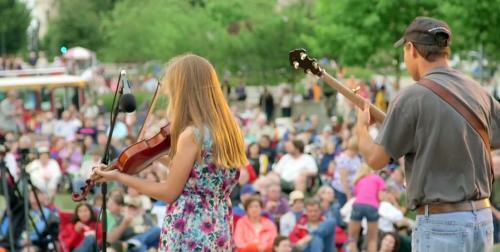 Experience Shindig on the Green, a free, outdoor, mountain bluegrass music and dance festival. 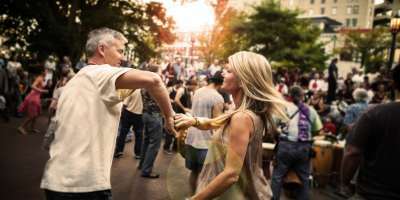 The shindigs take place in the heart of downtown Asheville at Pack Square Park on eight Saturday nights throughout the summer months (June through early September). In addition to scheduled stage shows, Shindig on the Green features informal performances and jam sessions on the stage and around the park. Bring a lawn chair or a blanket and enjoy. The performances begin at about 7 p.m. or “along about sundown” as folks around here like to say! See our guide to Shindig on the Green for more information. Asheville is known as a world-class hiking destination, with thousands of miles of trails meandering through the mountain peaks and valleys. 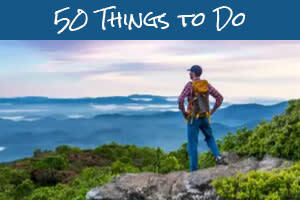 This weekend, discover the beauty of the Blue Ridge by taking one of these many trails. 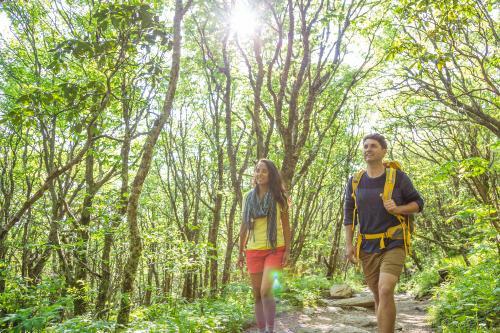 Use our hiking guide to choose from easy, moderate and challenging hikes. Remember to pack water and wear appropriate, closed toe footwear. Or, let rangers from the Blue Ridge Parkway lead the way on the Hike of the Week! On Friday morning at 10 a.m., meet at the Glassmine Falls Overlook (milepost 361.2; just past Craggy Gardens) for a 2-mile roundtrip hike that overlooks the Asheville reservoir area. Sunday (July 8), 10 a.m. to 4 p.m. Discover a unique find at this craft market that features an eclectic selection of locally hand-crafted goods and art. Even the market’s banner, flags and decorations are handmade! The Handmade on Haywood Market event takes place every Sunday in the walkable West Asheville district, close to several of the best brunch spots and best breakfast places in Asheville. Friday (July 6), 12 p.m.
Drop in for a lunchtime Art Break – an informal gallery talk/presentation to help you learn more about works of art on view at the Asheville Art Museum. For this Art Break, glass artist Mark Peiser will discuss his work currently on exhibition as part of the Summer of Glass celebration going on now in conjunction with Chihuly at Biltmore. Peiser will also talk about the area’s studio glass movement. The Art Break is free to attend. These are just a few highlights of the many live music and stage show performances in Asheville this weekend. For a full list of live music events please see our live music calendar. Glassworks Concert Series – Lexington Avenue Glassworks serves as the backdrop for a unique local music, art and beer experience. The event happens the first Friday of every month. Lexington Glassworks, 5-8 p.m.
Ian Ridenhour with Jordan Okrend Experience – Two of Asheville’s leading musicians. Ridenhour writes smart, piano-drievn alternative rock and Okrend plays vintage pop imbued with an infectious funky jazz edge. Ambrose West, 7 p.m.
Blue Yonder CD Release – Classic country, rockabilly, swing and folk music. Isis Restaurant and Music Hall, 7 p.m.
Ellis Dyson and The Shambles – Old-time influences from traditional jazz to big band swing. Isis Restaurant and Music Hall, 9 p.m. Resist! Help Fight Unnatural Disasters – Five Asheville acts perform a benefit concert for the people of Puerto Rico still recovering from Hurricane Maria. Salvage Station, 6 p.m.
Finn Magill and Dave Curley – Celtic and Folk traditions. Isis Restaurant and Music Hall, 7 p.m.
Sebastian Maniscalco: Stay Hungry Tour – American stand up comedian with numerous awards and television/movie appearances to his name. U.S. Cellular Center, 8 p.m. Unknown Mortal Orchestra – New Zealand psychedelic rock band. The Orange Peel, 9 p.m.
Celtic Songs and Mythic Tales – Recognized throughout the U.S. and Britain as one of the premier performers of traditional Celtic music. Isis Restaurant and Music Hall, 5:30 p.m.
Diali Cissokho and Kaira Ba – West African griot traditions with a modern rock band format. Isis Restaurant and Music Hall, 7:30 p.m.